Award-winning educational games and jigsaws manufacturer Orchard Toys are pleased to offer Kiddychart’s readers a bundle of five fantastic ‘Shopping’ themed games for Christmas! Featuring Shopping List, two Shopping List Extras packs, Pop to the Shops and the Lunch Box Game, you and your children can enjoy doing your Christmas shopping without even leaving the house! With the emphasis on ‘learning made fun’, Orchard Toys test all of their products in schools and nurseries with children and learning professionals to ensure educational values and fun factor are at the forefront. Orchard Toys games are made with durable, wipe-clean board – ideal for little hands and set to last anything from spills to sticky fingers! Inspiring learning and imaginative play, the games will see children role-play the shopping experience, count money, match and memorise items and learn about healthy foods. Aimed between the ages 3-8, the games will suit both pre-schoolers and older children alike. 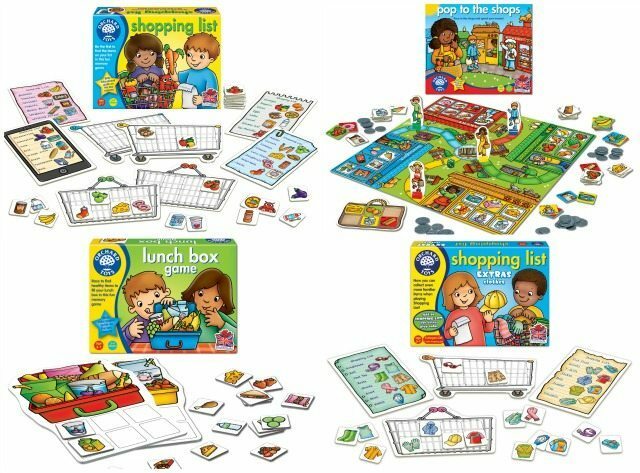 Shopping List – Children must be the first to fill their trolley with shopping list items in this fun matching and memory game. Deceptively simple, this Orchard Toys bestseller is loved by parents and children alike. Shopping List Extras Packs Clothes and Fruit & Veg – These fun additions to the Shopping List game feature new themed shopping list items, and can either be used to increase the number of players to 6 or played as standalone games. Pop to the Shops – Children will learn about counting and handling money and giving change in this fun shopping game. Players move from shop to shop, using plastic money to buy lots of different items for the right price. Lunch Box Game – In this fun, food-themed game, children will identify healthy food and improve their memory skills as they race to fill their lunch box with tasty items. This giveaway ends on the 17th December at 11.59pm, so hurry before you miss out completely! Our standard terms and conditions for giveaways apply for this. We cannot guarantee delivery by Christmas, but we WILL do the best we can for you all. Cracking Christmas family prize … there’s nothing quite like a good board game at Christmas. My lot just love ’em! My Grandson would love the football game because he’s football mad. Veg Patch Match because its colourful & he is just learning. My granddaughter would love Lunch box as she is learning about different foods. my daughter would love the postbox game as she loves posting things! she loves jigsaws and fairytales! I think the post box game for my granddaughter because she will be able to do this! I like the Big Alphabet Jigsaw as it is educational and fun. Also I love big floor puzzles! we already own a few games and my son loves them! i think dotty dinosaurs is next on his list! I think the postbox game as she loves posting things! 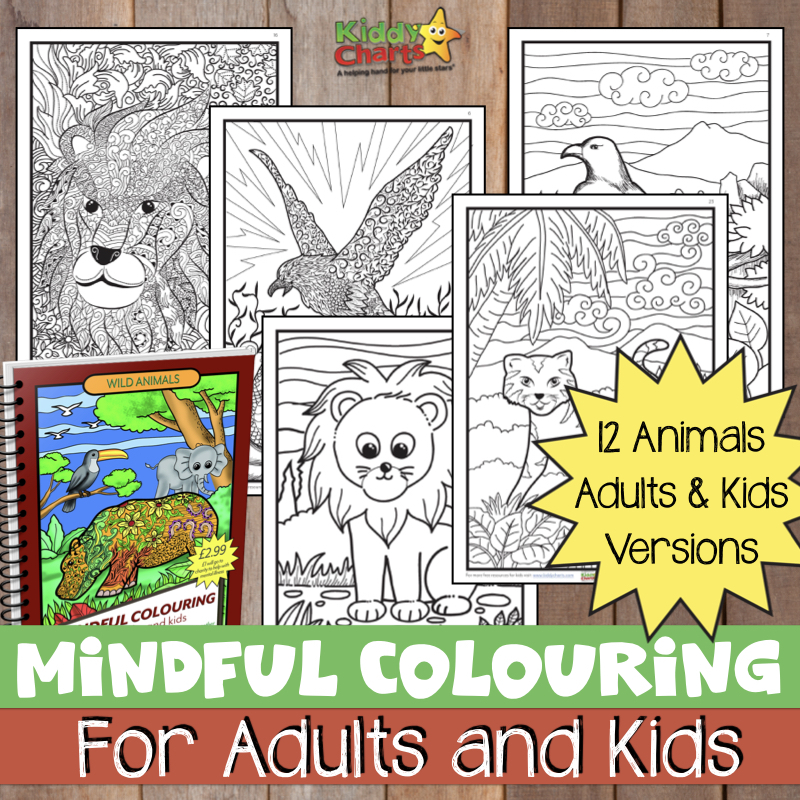 Doodlebugs would go down well and its educational fun too !! I would like Dotty Dinosaurs! Crazy Chefs looks like fun. Would have to be Party, Party Party. As it involves all the girly things she likes, plus learning too. Farmyard Heads and Tails because my son is obsessed with animals and tractors! My little Gracie would absolutely love the Tell The Time game as we are just starting to learn all about time and she is very interested in asking what time it is and trying to work it out. We have just bought her a new watch for Christmas so this would work perfectly with that to bring some fun to learning! The Spotty Dogs as we have a house full of basset hounds. My daughter would love the shopping list, she loves to play shops. Pop to the shops is on our Christmas list! The Old Mcdonald lotto sounds fun. The Greedy Gorilla game looks great fun for the kids! Shopping List – extension games to go with our original! Baa Baa , we have a lot of the Orchard Toys range and this looks great fun too. The shopping list game looks like a lot of fun. The youngest would love the Rocket Game. Rockets are one of those enduring fascinations with children and she is no exception. We love orchard games and always up for winning some more! Farmyard Heads and Tails – my son loves animals! The shopping list game is on my sons wishlist after he played it at a friends house last week!! It looks so fun! Shopping List Extras – great game! The Post Box Game because my daughter loves writing and posting letters. We’re trying to teach my daughter French so I would get the Chefs en Délire puzzle for her. My son would love the giant alphabet jigsaw, he loves doing jigsaws and learning letters, so perfect for him. My kids would love the Old Macdonald Lotto because they love everything to do with farms. My daughter loves playing Greedy Gorilla at pre-school, so it would be good to be able to play it at home, too. My daughter is trying Shopping Game at nursery, so I’d love a copy to play at home. The quack quack game looks lots of fun. Orchard Toys are ideal for the little ones . My great grandson is just learning to tell the time so i am sure he would love that! Farmyard heads and tails because of all the animals. I think my son would love Crazy Chefs game – he would find it funny. These games are fun to play. Quack Quack because of all the animal sounds involved! I’d love the Giant Road Jigsaw for my little boy as he’s just started really enjoying jigsaws and this one seems lovely and big. Old macdonalds lottery. My son loves animals si this would be a great game for him to play. I’d love the Farmyards Heads and Tails game! The little one would have hours of fun with it! I think my granddaughter would like the Old Macdonald Lotto, she loves animals and this would be good for her age. Where in the Woods Puzzle; would be for my great niece and we are hoping they will be coming to live in the UK at the beginning of 2016 so she wont have any toys. We love the shopping list game! Great prize! My nephews and nieces would love this! The Veg Patch Match looks like a fun game while learning different kinds of veg. The Tell the Time Game would be a fun way to learn. They would love the Old Macdonald Lotto because they love anything to do with farms. I think my niece would like to the pop to the shops game, she’s already a fan of shopping! I think my kids would love Run, Run, as Fast as You Can! My son loves the gingerbread man book!